My name is Nicole Reed and I am a ‘machine quilter for hire’ based in Kingaroy, in Country Queensland, Australia. I operate this service using a Avante Q18 HandiQuilter Quilting Machine with the Q-Bot computerised system. Quilting with a computerised system is good news for my clients because the results are better. My machine produces even, regular stitches and stitches-out a precise and accurate design. A wide selection of quilting designs are available and so finding just the right pattern to suit your quilt will be an easy choice for you. I have been quilt-making and crafting for many years, so my knowledge about all aspects of patchwork and quilting is extensive and I have been helping other quilt makers complete their quilts since the year 2009. I am passionate about quilting so rest assured I will treat your quilt with the highest regard. I aim to produce the best possible result. If you are looking for a quilter to finish your quilting project, you can be confident that here at Darvanalee Designs you will receive quality service, at a fair price and the work will be completed for you in quick time. If you have not commissioned a machine quilter previously, I will be happy to explain all aspects of the quilting process. I can help you finish your quilts by machine quilting the top (in either a light custom style or an edge to edge design) and then, if you want, bind your quilt so it is ready to use. This can be very useful for those people who like to make the quilt tops but don't have the time or the inclination to quilt them - these are the quilts that end up stuffed in a cupboard, never to see the light of day again. 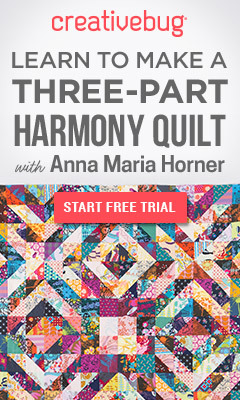 Wouldn't it be better to have your quilts finished so you can use them? Or give them as gifts? Or even so you can have the excuse that you need to make some more!! Actually, you don't need that excuse - having more than one quilt in progress is a good thing (though my husband would dispute that!). I would love to meet and hear about how you came to the world of quilting..